Muhammad Ali was remembered in tributes worldwide for his iconic fight for social justice as well as his legendary boxing battles following his death Friday at age 74. "We lost a giant today," iconic Filipino fighter Manny Pacquiao said. "Boxing benefitted from Muhammad Ali's talents but not as much as mankind benefitted from his humanity." Ali spoke out for African-American civil rights in the 1960s, carrying on his fight against injustice and sacrificing prime years of his own career in the process. "He is, without a question in my mind, the most transformative person of our time," boxing promoter Bob Arum told ESPN. 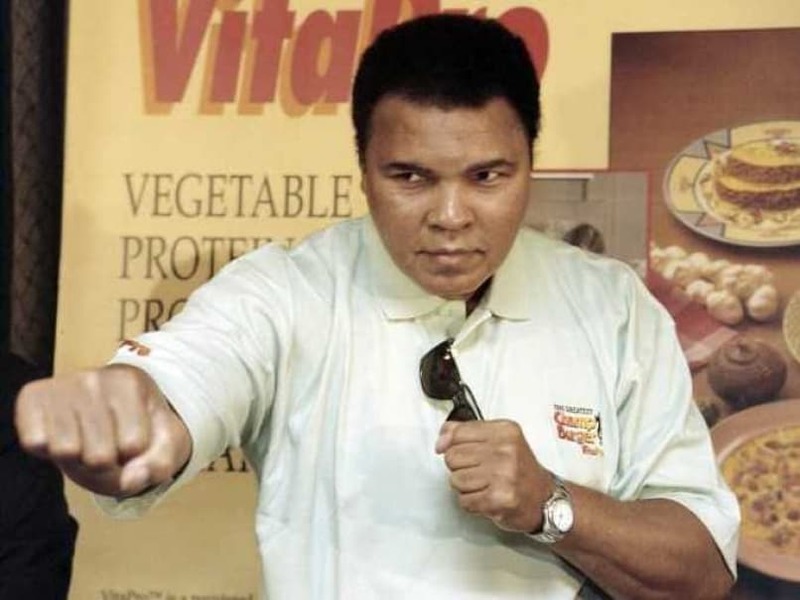 "Muhammad Ali had the most influence because he was this great sportsman, great boxer, the way he could connect with people, a great talker, he said what was on his mind, what he thought was right." Ali, born Cassius Clay, beat Sonny Liston in 1964 to win the heavyweight title but was stripped of his titles in 1967 when he refused to join the US Army and fight in the Vietnam War. He was banned from boxing until 1970 and in 1971 the US Supreme Court ruled in his favour in sitting out the war. "When people saw what he had done for what he believed in, threw away 3 1/2 years of his career and he remained steadfast, he came through all of that bigger and more important than ever before," Arum said. "People looked at him and said there was something special about him. Any man willing to make that kind of sacrifice for his beliefs had to be respected." Boxing began mourning its greatest hero with ultimate praise. "We lost a legend, a hero and a great man," said Floyd Mayweather, who retired as an unbeaten welterweight champion last year at 49-0. "He's one of the guys who paved the way for me to be where I'm at." Former world heavyweight champion Mike Tyson tweeted: "God came for his champion. So long great one. @MuhammadAli TheGreatest RIP." "I definitely feel the loss after his death. He's a legend around the world, a boxer everyone adored who made boxing interesting," retired Indonesian boxing star Chris John told AFP on Ali's passing. "It's a great loss, I myself was inspired by him. He was my inspiration when I was growing up." Don King, who promoted Ali's epic victory over George Foreman in the "Rumble in the Jungle," said Ali will live on forever. "He was tremendous, not just a boxer, a great human being, icon, and his spirit will never die, like Martin Luther King Jr. They inspired people to do what was right and stand their ground. That is why Muhammad Ali will never die." Retired fighter and promoter Oscar de la Hoya praised Ali as "one of the world's most celebrated athletes, the fighter who ushered in the golden era of boxing and put the sport on the map. "Ali exemplified courage. He never took the easy route, something to be admired in and outside of the ring. As we reflect on his life, let us remember a man who pursued greatness in everything he did and be inspired to hold ourselves to that same standard." "The world has lost a monumental, unforgettable figure," said Harry Reid, a US Senator from boxing-haven Nevada and a fighter in his younger days. "Ali was a legend and fighter in every sense of the word. He fought and won inside the ring and fought for equality and justice outside the ring. Ali taught us all about the value of hard work, tenacity and never giving up. There has never been anyone like Muhammad Ali and there never will be again. He leaves behind an indelible legacy that will continue to serve as an inspiration for generations to come." US Presidential candidate Donald Trump tweeted: "Muhammad Ali is dead at 74! A truly great champion and a wonderful guy. He will be missed by all!"